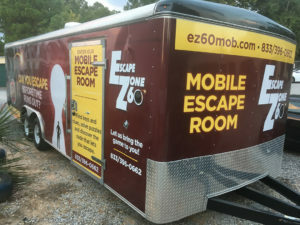 We now have a mobile escape room that is available to come to your location for parties or events. 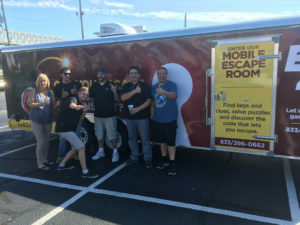 The room is 15 minutes long and can hold up to 6 people per session. 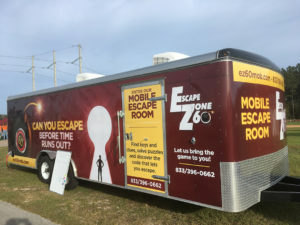 In just three hours over 50 people can experience what this escape room craze is all about.